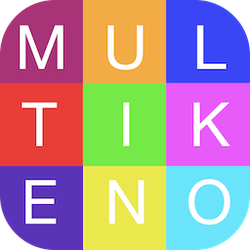 Multi-Keno is a FREE multi-card keno game for iPhone, iPad or iPod Touch! What could a keno player love more than keno? With Multi-Keno you can play up to 20 keno games at the same time. Mark between 2 and 10 numbers per card. You can bet up to 1 trillion credits per card! Keno is a fun number guessing game. Mark between 2 and 10 numbers per card, then place your bet, and press "Start." Twenty numbers are randomly generated and the more you match, the more you win! One of the most popular games in the world is Keno. One of the most popular phones in the world is Apple's iPhone, so the fact that you can play new multi-card Keno on your iPhone is a great match. We have produced several keno games for the iPhone and Keno games for the iPad. If there is a Keno game variation that you would like us to make, please contact us and let us know. In Multi-Keno, we give you 100 FREE credits to play with every time you run out and you also have the option to get even more through Apple's in-app purchase. So you can play Multi-Keno for your iPhone or iPad and see if you can beat others high scores! With Apple's Game Center Integration, you'll enjoy competing with others on the High Scores Leaderboard and competing against yourself earning achievements when you get a 2-Spot, 3-Spot, on up to 10-Spot! Multi-Keno for iPhone and iPad also includes "Spot Leaderboards." This means that you can keep track of how many 2-Spots (through 10-Spots) you've hit. Nearly three thousand people around the world play this great free keno app every week. Their scores are tracked on Apple's Game Center leaderboards. Join the fun: download this free iPhone Keno app today and see how high you can make it on the built-in leaderboards. Multi-Keno is Free for all your iOS Devices. This means that you don't have to pay anything to enjoy playing this casino class keno game on your iPhone, iPad or iPod Touch. Our Multi-Card Keno iPhone and iPad app does offer in-app purchases that allow you to get even more credits than the unlimited free credits we give you (100 at a time). If you choose, you can purchase 100,000 credits for only $.99 USD or get the best value and purchase 1,000,000 credits for only $1.99 USD. Purchasing more credits allows you to bet even higher, up to 10 Million credits, and gives you a better shot at hitting it big. 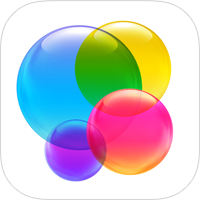 Many users have enjoyed purchasing more credits to achieve a higher ranking on the Game Center leaderboards. Believe it or not, some people have obtained five million credits, five billion credits, and even trillions of credits. You too can be a superstar on the Multi-Keno High Score leader boards! Download it Today!